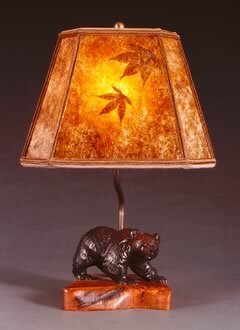 One of our favorite bear lamps – these one of a kind bears with their mica lampshades are rustic lighting at its most unique and expressive. 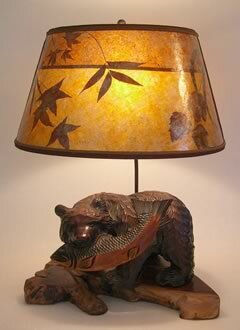 Hand carved by the Ainu, the natïve people of Japan, each bear is different. 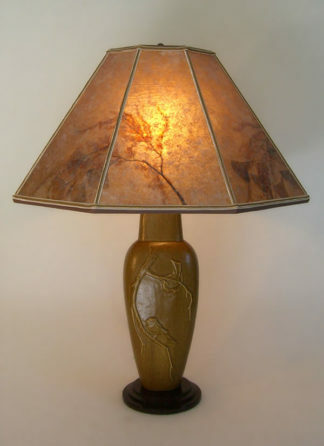 We have several sizes, some of the larger with fish in their jaws. 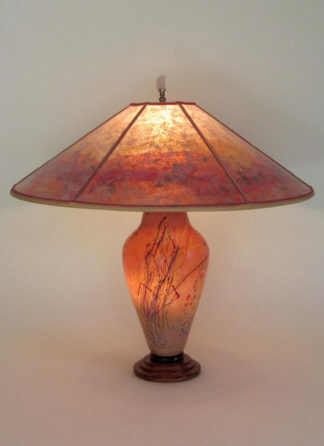 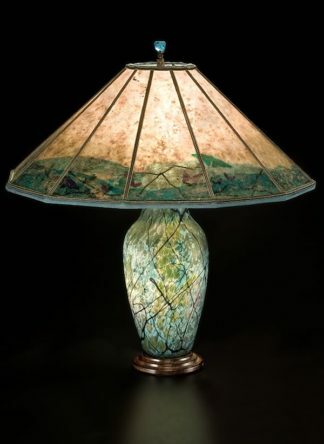 Pricing varies with size and style of bear, burl base, and mica lampshade. 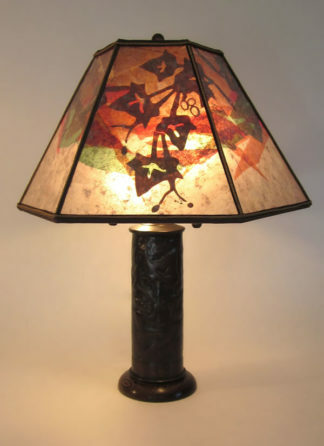 We are more than happy to send photos and specific pricing of available lamps upon request.